Put back the expensive serums and step away from the non-regulated herbal supplements. If you’re looking to grow your hair, you needn’t travel much farther than your kitchen. And no, we’re not talking about eating an all-organic, antioxidant-rich diet (though, that can’t hurt); we’re talking about whipping up an egg mask for the ultimate at-home hair growth therapy. That’s right, it’s time to put an egg on it. What Are The Benefits of Putting Egg in Your Hair? 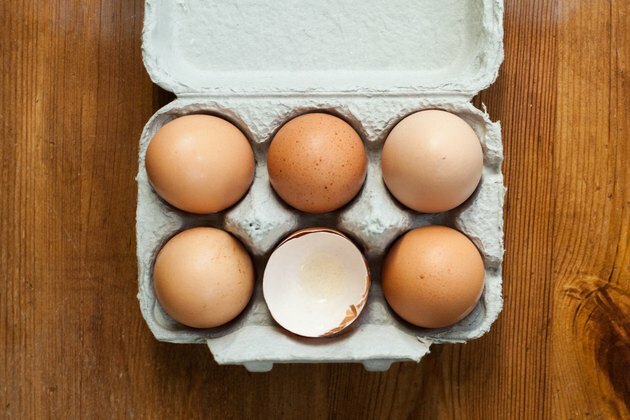 Using egg for hair growth has reportedly been around since the 11th century, so it’s safe to say that, unless you have an egg allergy, it’s, well, safe. It’s believed that the benefits of egg for hair predominantly lie in the protein, which can strengthen weak, damaged, or over-processed strands, as well as help stimulate hair growth. In addition to the protein that eggs pack, they also contain fats, vitamins D and A, biotin and lutein — ingredients that are found in many hair growth and beauty supplements. The vitamins and nutrients that naturally occur in eggs are also found in shiny, strong, healthy hair. So, the thinking is that, by applying more of the good stuff, hair will grow faster, become more resistant to damage, and retain more moisture. When applied to the scalp, egg yolks, which contain a hefty dose of B-complex vitamins and folic acid, can infuse the roots of hair with vitamins, helping it to sprout out stronger. In turn, hair breaks less, which leaves it looking fuller and more nourished. Eggs are also rich in iron, which has been linked to the promotion of hair growth when consumed. There are a few ways to use egg for hair strengthening and growth, but the most popular forms are creating an egg mask using an egg, along with a few additional household ingredients. Leave it on for at least an hour and rinse with lukewarm water to avoid "cooking" the egg. 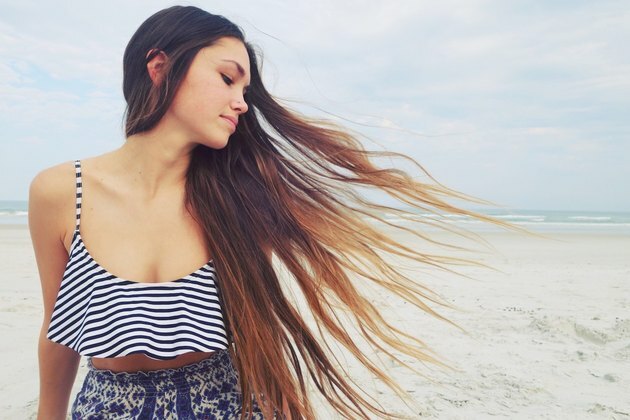 Apply to dry hair and leave on for anywhere between 30 minutes to an hour. Rinse out with warm water. Apply to hair and leave on for 45 minutes. How Many Times Can I Use Egg for Hair in One Month? Depending on what your goal is — and which parts of the egg you’re using — an egg mask can be worn anywhere from every two weeks to once a month. According to an article in Woman’s Day, an egg mask that contains the whole egg, or the yolk only, can be used once a month, where treatments with just the egg whites can be used every two weeks. What Is Good for Hair: Egg Whites or Egg Yolks? Both egg whites and egg yolks are effective hair treatments, but as a whole, egg whites are more nutritious for tresses. That said, the whites of the egg yield different results than egg yolks, so it’s important to take your hair type into consideration, as well as what you’re hoping to accomplish with your treatment. If you have oily hair, an egg white mask is best, as it can help control oil production and “de-grease” your scalp. Additionally, egg whites are believed to aid in hair growth, due to the minerals they contain, which include magnesium, sodium, and potassium. If your hair is dry or damaged from color treating, the fatty egg yolk makes for a super effective conditioning treatment, and can also assist in strengthening. And for people with normal or combination hair, the entire egg can be used in order to reap the benefits of both the yolk and the white.